When you have a new baby, the last thing you want to worry about is making dinner. 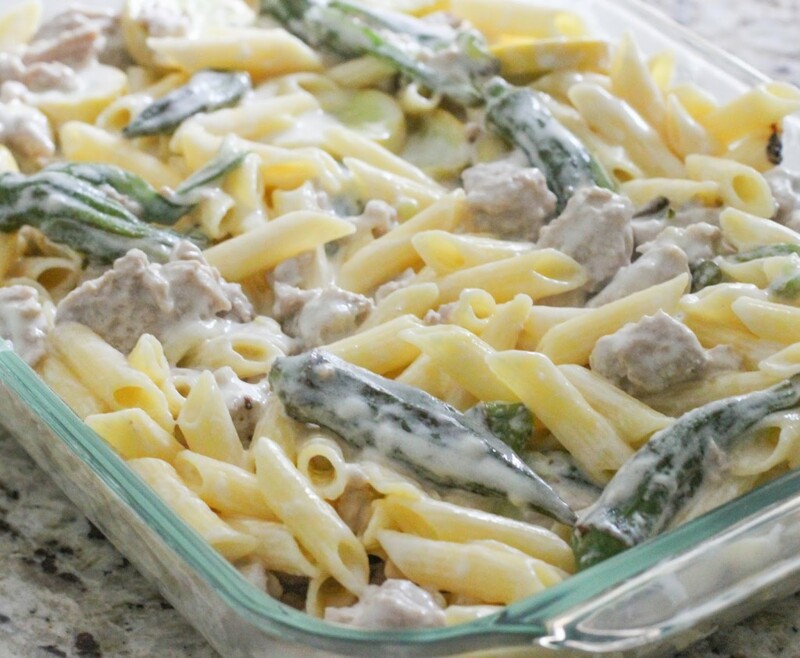 That’s why it’s good to go ahead and create a few big casserole dishes that you can freeze ahead of time and simply heat up when the baby comes. If you’re like me, you also want to go ahead and start eating as healthily as possible and not worry about different ingredients in your food causing any reaction to your baby because of nursing. That’s why I’ve been looking for healthy (at least ‘healthy-ish’) and gluten-free dishes to go ahead and make and stick in the freezer. 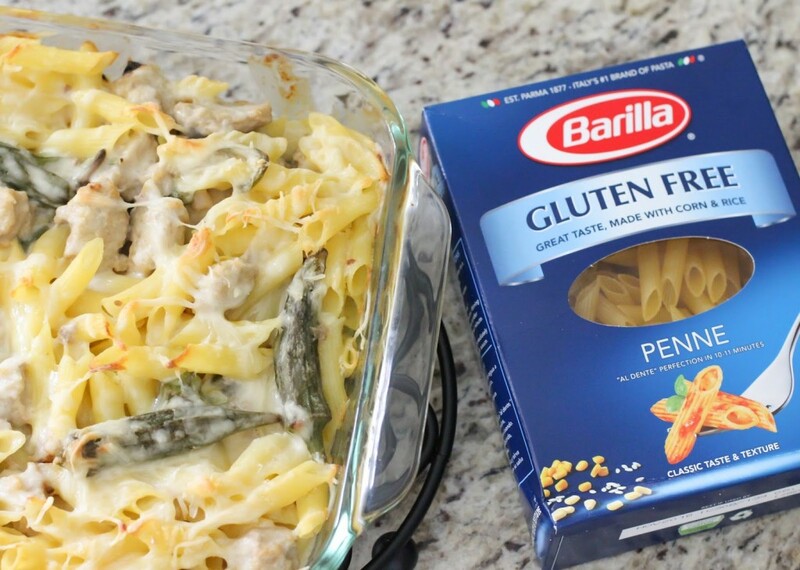 A good gluten-free pasta recipe can be hard to find – but this bake is delicious thanks to Barilla Gluten Free Penne, and perfect for family dinners, freezing for the future, or taking over to share with friends. 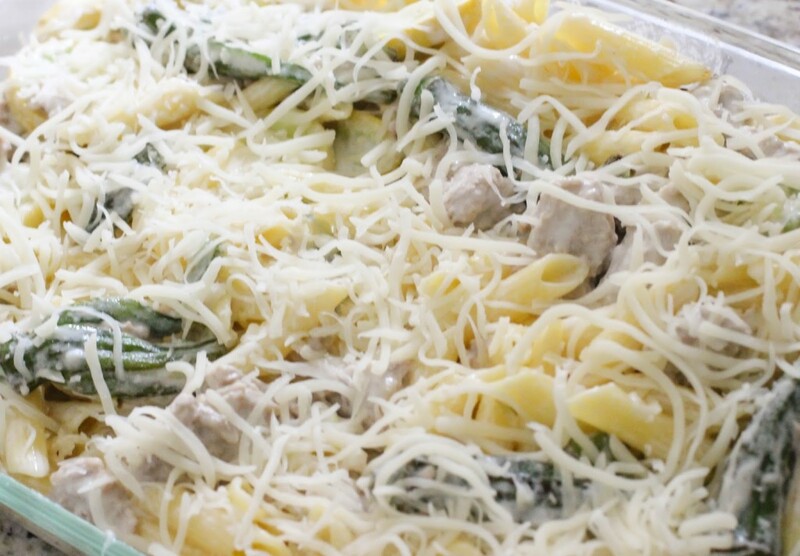 Cook pasta according to directions on box and cook chicken and vegetables and set aside. Preheat oven to 350 degrees. In a saucepan over low milk melt butter and whisk in milk. Continue to beat while slowly adding in sour cream. Add 1 cup of cheese and continue stirring constantly until cheese is completely melted. In a large bowl mix the pasta, sauce, chicken and vegetables. Spread evenly in a 9″ x 13″ baking pan. Top with the remaining 1/2 cup cheese. Bake 25-30 minutes until brown and bubbling. 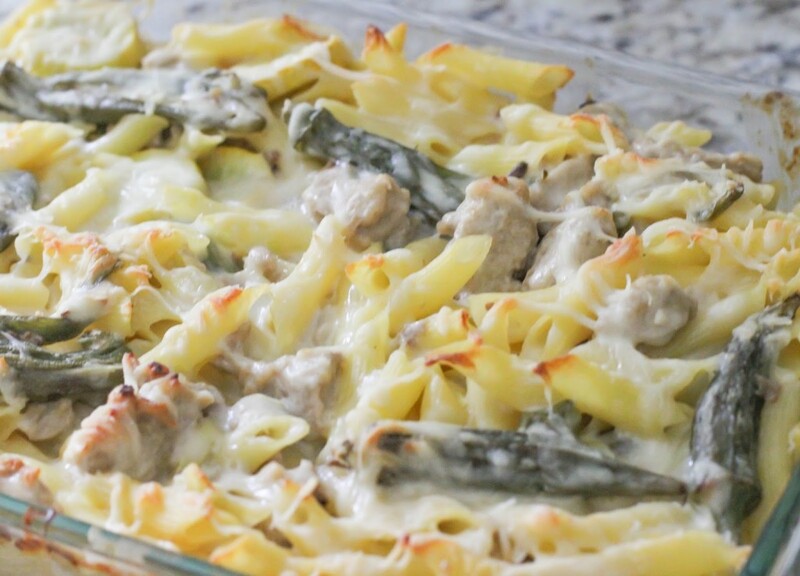 The Barilla Gluten Free pasta in this bake tastes just like any regular past and is really great for moms with new babies. It is made with non-GMO corn and rice, and creates a meal that the whole family can enjoy. 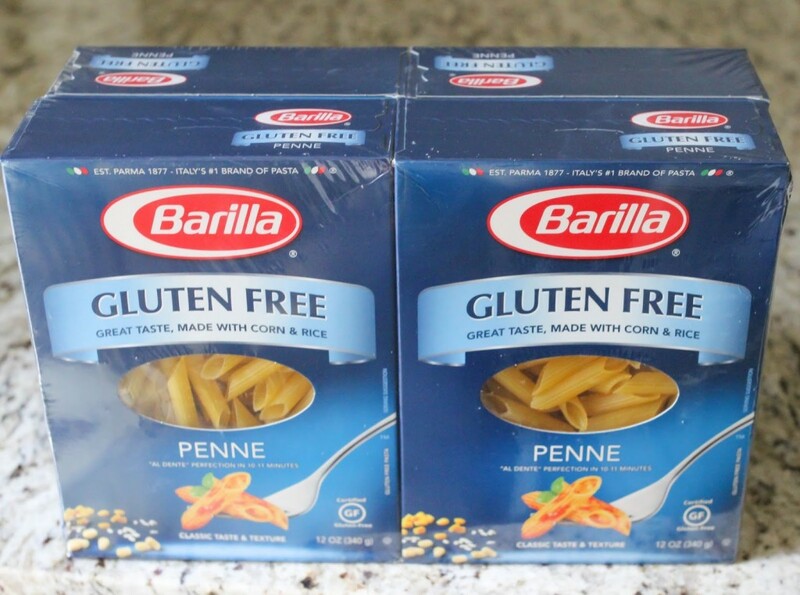 I find the best deals on Barilla Gluten Free Penne at BJ’s Wholesale where I buy it in a pack of four. Visit BJ’s Wholesale Clubs on December 22nd and 23rd to see an in-store Barilla Gluten Free pasta demo at select clubs! Make sure you check out Barilla on Facebook, Twitter and Instagram. 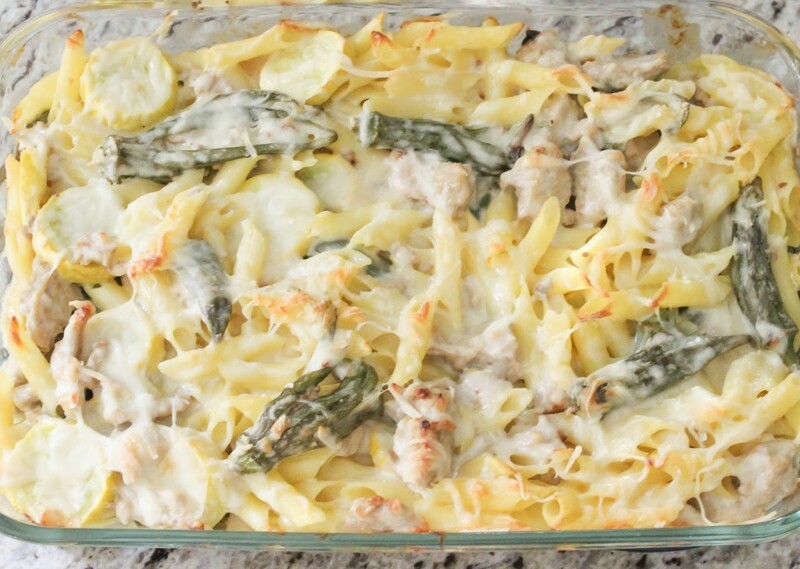 You’ll find more great Barilla Gluten Free recipes on Pinterest! Do you have any recipes that work great for making ahead and freezing? I’d love some more ideas! This looks delicious! I'm working on finding some good freezer meals, too! I can't imagine I'll be in the mood to cook after having a baby! Yum! 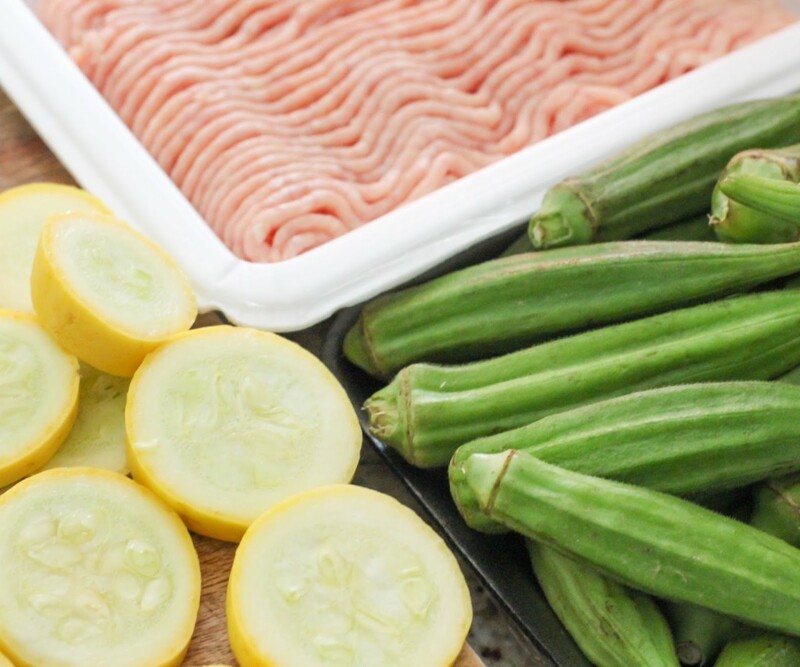 I love homemade freezer-meals, they make busy mom days so much easier! I also love that you used yellow squash in this, I have been looking for different ways to use up my squash abundance. Ahhhh! I pinned this and totally have to try it. My 6 year old just got put on a gluten free diet and poor thing just wants pasta. 🙂 Perfect! Thank you! I was drooling the whole time as I was reading the recipe! Looks so delicious! 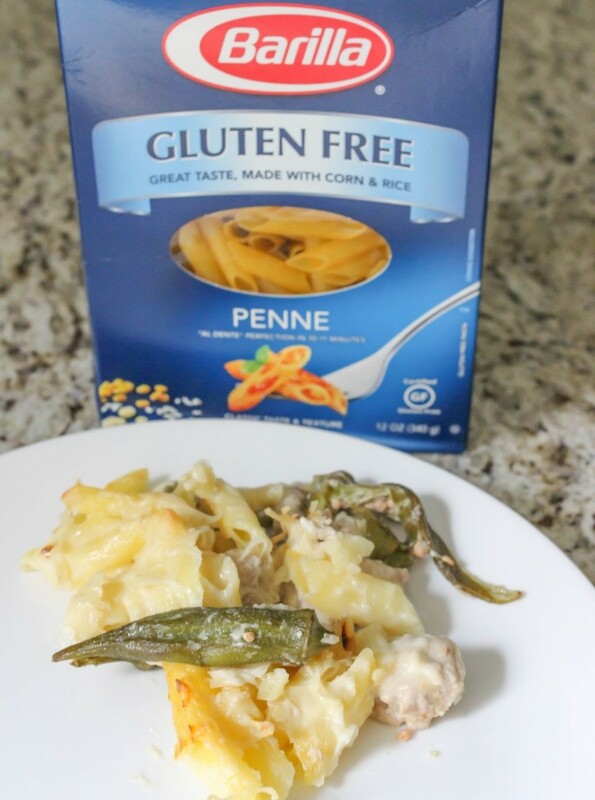 Gluten free penne I had no idea that existed! Okra is a veggie I never eat. I might have to test this out. Looks delicious! 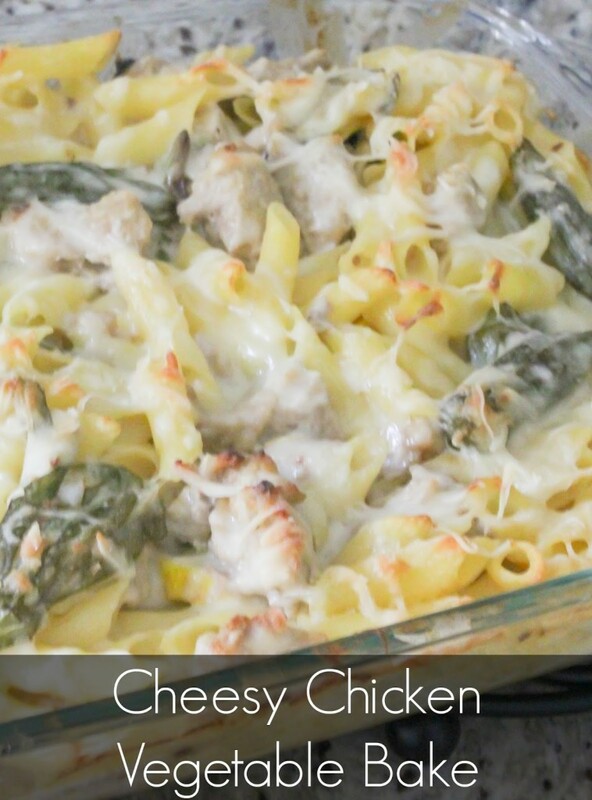 Such an easy dish to throw together! I wish I had this last Thanksgiving 🙂 Would make a perfect side dish.